Self-heal commonly known as Prunella, Wound Root, Brunella, Woundwort, All Heal, Slough Heal, Dragonhead, Blue Curls, Hook-Heal, Hercules, Mountain selfheal, American self-heal, Lanceleaf selfheal, is an herbaceous flowering plant native to Europe, North America and Asia. This plant belongs to the family Lamiaceae /Labiatae. 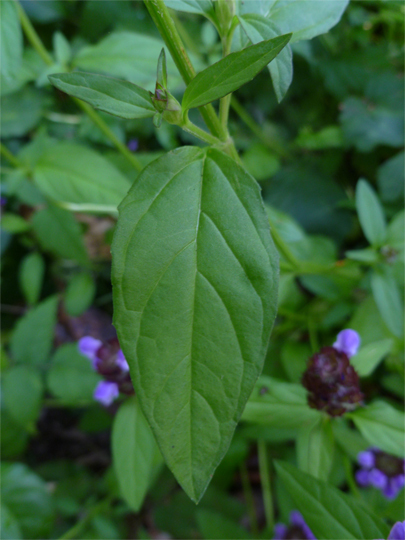 Self-heal has lance shaped leaves which grows upto 0.8-2.8 inches long. It has blue to violet flowers which attracts bees and butterflies. The plant yields flowers from April to June and bears fruit from June to August. Self-heal was first noticed during Han dynasty in the Chinese medical literature for ailments related to disorganized liver energy. The herbalists of European regarded it as the wound herb. It is able to pause bleeding. The name Prunella is related to the power of treating mouth inflammation which is known as die Brellen. 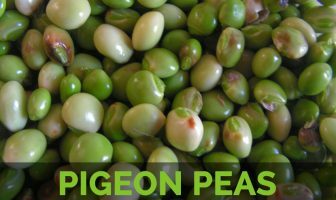 It is believed to possess antibacterial and antiseptic activities which effectively treat food poisoning. In Pacific Northwest, the juice was used by the Quileute and Quinault to cure boils. The plant was used to cure inflammation and cuts. It was fixed with grease to make an ointment. It was used in China as an herbal drink for treating minor disorders. Self-heal was once indicated as a Holy herb and was thought as sent by God to treat the ailments of beast or man. The tea made from the root was consumed to sharpen the observation power before going to hunting by Native American. 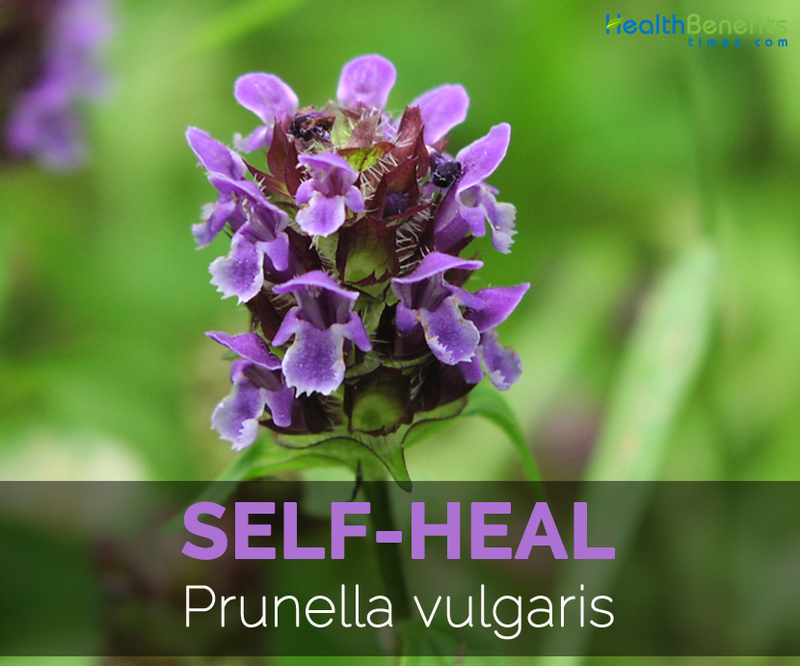 Prunella vulgaris is a fibrous rooted, herbaceous plant and grows to a height of about 2 feet. The stems are squarish with reddish stems. The leaves are lance shaped, ovate and 0.8-2.8 inches long. The flowers are blue to violet; 1- 2 inches long and 1 inch wide. The flowers are two lipped. The upper lip of the flower is purple and the lower lip is white. The middle lobe among three lobes is large and fringed upward. The flowers turn into a smooth and egg-shaped fruit. The stalks are 5 cm (2 inches) long. It has reddish, light green and hairy calyx. Self-heal is rich in antioxidants which helps to boost immune system. This herb helps to treat hypertension, vertigo, conjunctivitis and gout. This herb possesses hemostatic, demulcent, astringent, vulnerary, inflammatory, hypotensive, immunomodulator, modulator, diuretic and antiviral properties. Self-heal is used in Western herbalism to treat the wounds. It possess vulnerary, demulcent and astringent abilities which help to stabilize tissue and prevents the moisture of the skin. Self-heal helps to treat cuts, burns and scrapes. The internal use of Self heal is useful for throat and mouth ulcers. Self-heal possess an antiviral properties which helps to encounter HPV, HIV and herpes simplex virus. The research shows that the ability to inhibit the virus helps to prevent the new outbreaks. It prevents the replication of virus which helps to stop the infections of virus such as herpes. The study also shows that Self-heal is also effective against HIV as it forbids the replication of virus. Self-heal possess polysaccharides which balances the immune system. The regular intake of Self-heal assists the immune health and lowers the infections of upper respiration. Self-heal cures sore throats such as quinsy which is the result of abscess tonsils. The hot tea made from Self heal soothes the dry, irritated and scratchy throat. Self-heal is an immunomodulator which lowers the extreme response of immune systems such as chronic inflammation and seasonal allergies. The regular intake of Self heal tea lowers the symptoms of seasonal allergy. Self-heal possess the kidney strengthening properties which promotes the functions of kidney. Along with strengthening properties, it acts as a diuretic which helps to drain dampness such as edema and also lowers high blood pressure. Self-heal increases the sensitivity of insulin which prevents diabetes and effects of metabolic syndrome. Self-heal also has positive effect on cardiovascular system. It is used in Chinese medicine to reduce the blood pressure and has modulating properties on cardiovascular tissues. The Self-heal is used in Chinese medicine to treat signs of liver constraint and liver fire rising. 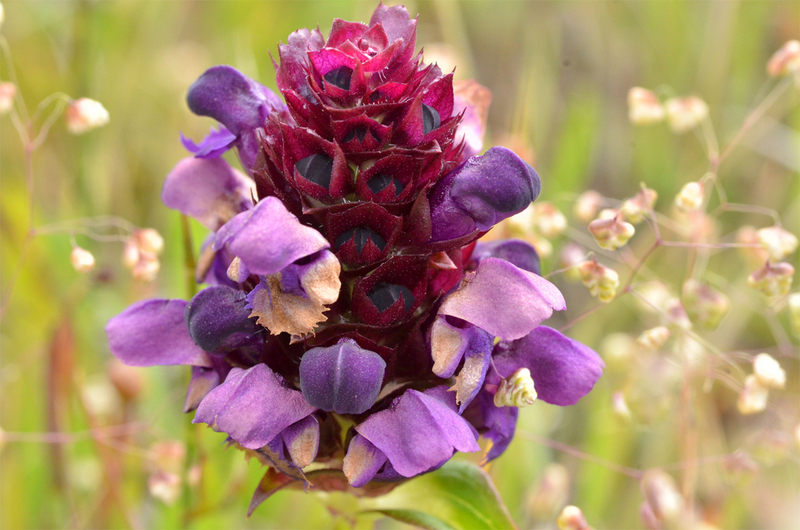 Self-heal is used to treat the eye ailments such as conjunctivitis, red eyes and eye tearing. In Pacific Northwest, the Quileute, Coast Salish and Quinault rubbed the juice on boils. Mohegan, Delaware and Iroquois use it as a drink or body wash to lower fevers. The plant was boiled to make a tea which is taken for heart. Self-heal possess an antibiotic properties which helps to reduce blood pressure, increase urination and encounter tumors. The tincture, ointment and infusion are used for topical application. 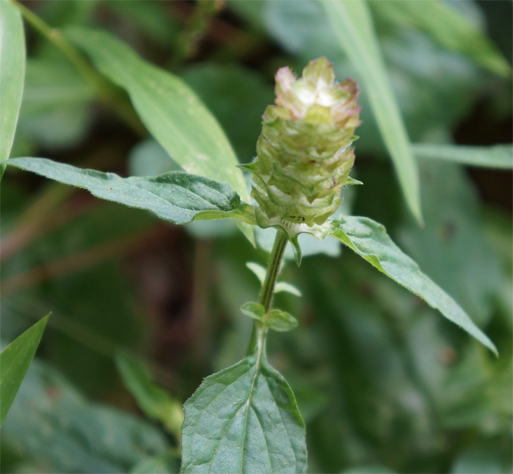 In Western medicine, Selfheal is used internally to treat hemorrhage and reduce extreme menstruation. In Western medicine, it is applied externally for minor injuries, burns, sores, sore throat, bruises, mouth inflammations and hemorrhoids. The juice of stem helps to calm minor bouts, nettle stings, poison ivy, stings and insect bites. Self-heal contains acts as a diuretic which helps to heal tumors. The decoction made from leaves helps to treat internal bleeding and sore throats. It has anti-inflammatory and anti-allergic properties. 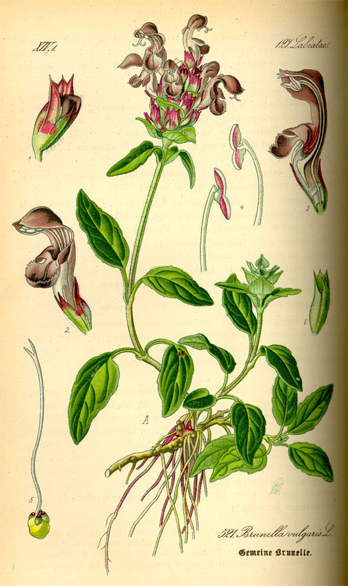 The European herbalists used Selfheal to cure wounds. In Chinese medicine, it is used to treat liver ailments. As Self-heal possess an antiviral properties, it is used in China as an anti-cancer drug. The plant is used to treat cuts as well as inflammations. The dried Self-heal is used as an herbal drink. The poultice made from plant helps to treat irritated skin. 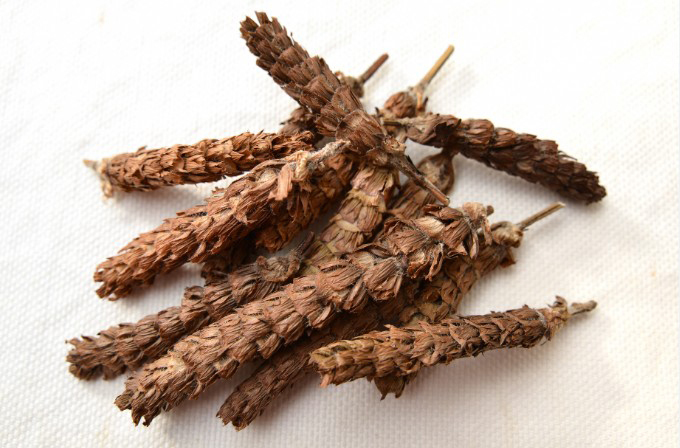 The herb is used to treat liver ailments, hepatitis, jaundice and liver weakness. Self-heal is useful for internal bleeding, flatulence, diarrhea, gastritis and intestinal parasites. In China, it is used as a tonic. The flower heads and lower leaves are used to treat rheumatism and fevers. It assists the function of liver and clear vision. It helps to cure lumps in neck and also swollen glands. The plant is used in New Zealand as an ointment for first aid. The tea helps to treat fevers, sore mouth, diarrhea and internal bleeding. The plant lowers blood pressure and tones stomach. The side effects such as dizziness, constipation and weakness. It may be harmful for people with rheumatic diseases and poor gastrointestinal function. The long use in high doses affects the liver health, and kidney and organs. It might cause liver and kidney pain. 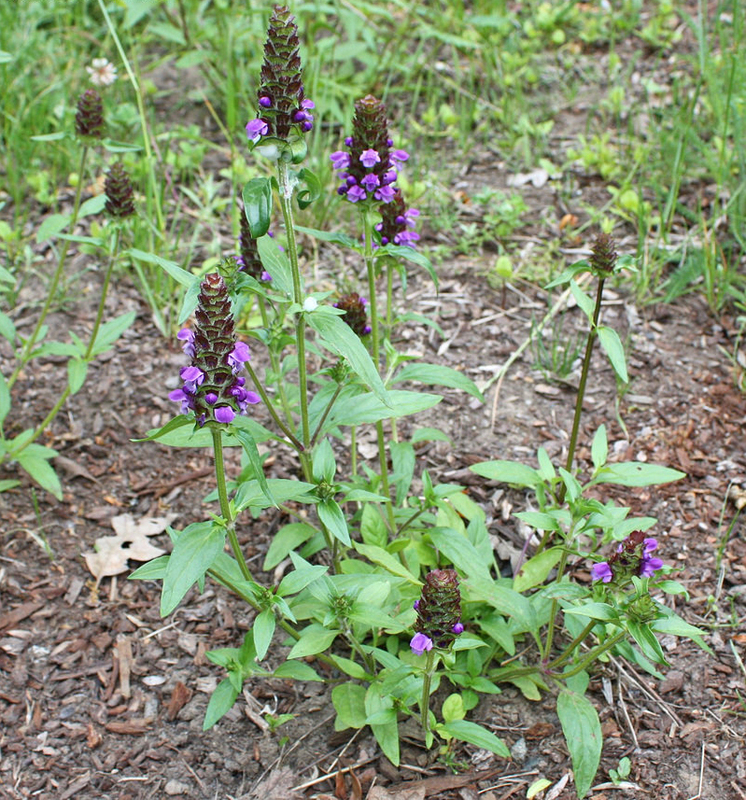 Self-heal herb may cause allergic reactions such as nausea, itching, vomiting and skin rash. The young leaves are added to soups, salads and stews. The young leaves and shoots are added raw in salads, cooked as a potherb and added to soups as well as. The cold water infusion made from fresh or powdered leaves is used as the beverage. It is consumed as a substitute for spinach which is prepared in a big pot with a hog meat. The mildly bitter leaves are used as salad greens. It is also consumed in the form of tea. Raw leaves are used as pot herb which has bitter taste. The leaves are added to the mashed potatoes. Leaf Opposite pairs along the stem, and are measuring approx. 5 to 8 cm. long by about 2.5 cm. wide. Leaves are oval to lanceolate, untoothed or serrated. Petioles are generally short but can be up to 5 cm in lower leaves. Flower Violet (rarely white or pink) and are two-lipped and tubular. The top lip is a concave purple hood. The bottom lip may be white, and has three lobes, with a larger fringed middle lobe. The corolla is 10-14 cm long. Seed Smooth, shiny, brown nutlets that are obovate, oblong, with a convex dorsal side and a roof-like ventral side. Each flower can produce 4 seeds.